Approx 3 1/2" drop x 2" on an adjustable leather cord. 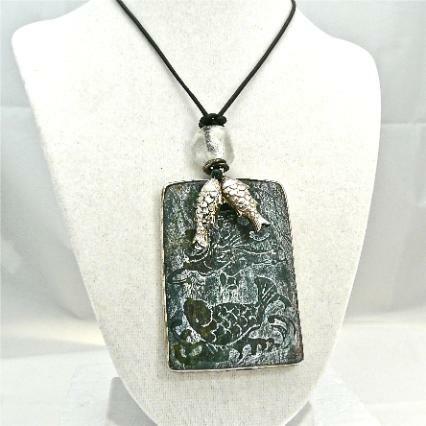 This piece of dark green unpolished jade has been etched with a Buddha above a fish. 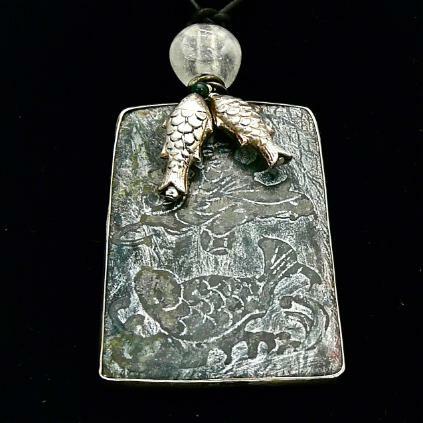 On the back is an etching of Chinese script. 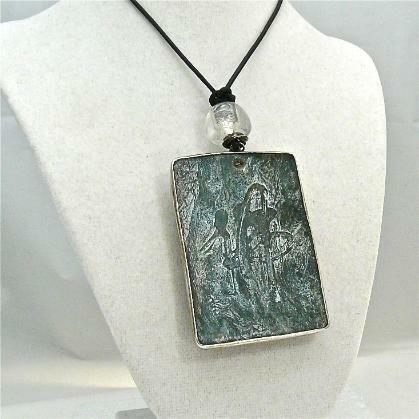 I have wrapped the rectangle in sterling silver and topped it with an irregular shaped piece of frosted glass. 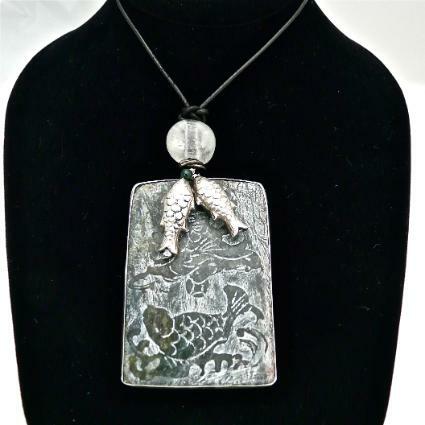 In front of the jade hang two silver fish which move as you move. The jade measures 2 1/2” long by nearly 2” wide. 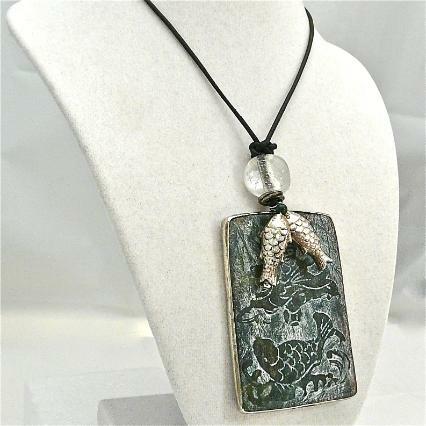 It drops with the glass bead 3 1/2” from a black natural leather cord that is adjustable so it can be worn a variety of lengths.